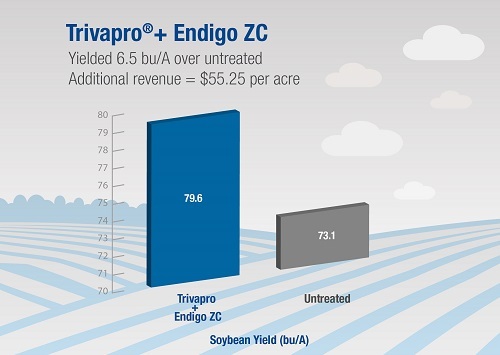 Endigo® ZC insecticide combines three industry-leading technologies for quick knockdown and extended residual control of key foliar insect pests in soybeans, potatoes and cotton, among other crops, resulting in higher potential yield. It serves as an excellent rotational product for a complete integrated pest management program and easily tank mixes with other products for added convenience. ©2019 Syngenta. Important: Always read and follow label instructions. Some products may not be registered for sale or use in all states or counties. Please check with your local extension service to ensure registration status. 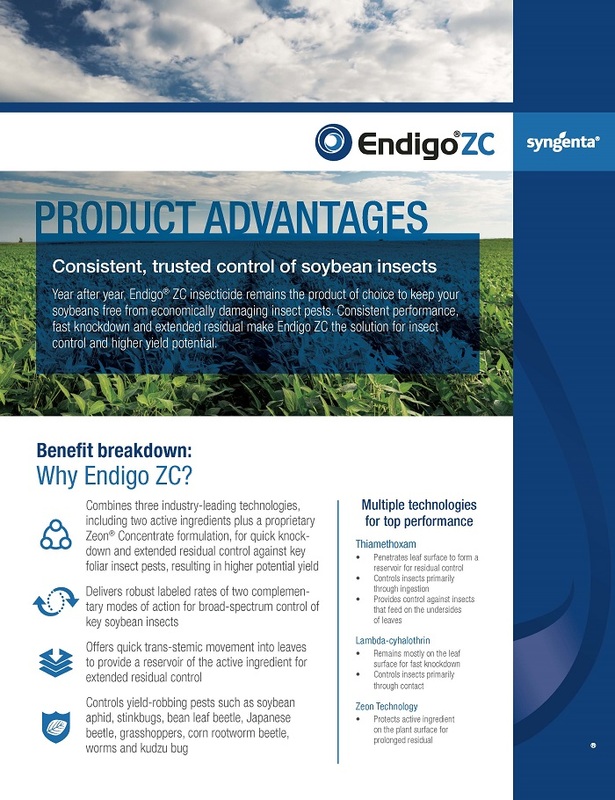 Endigo ZC® is a Restricted Use Pesticide. 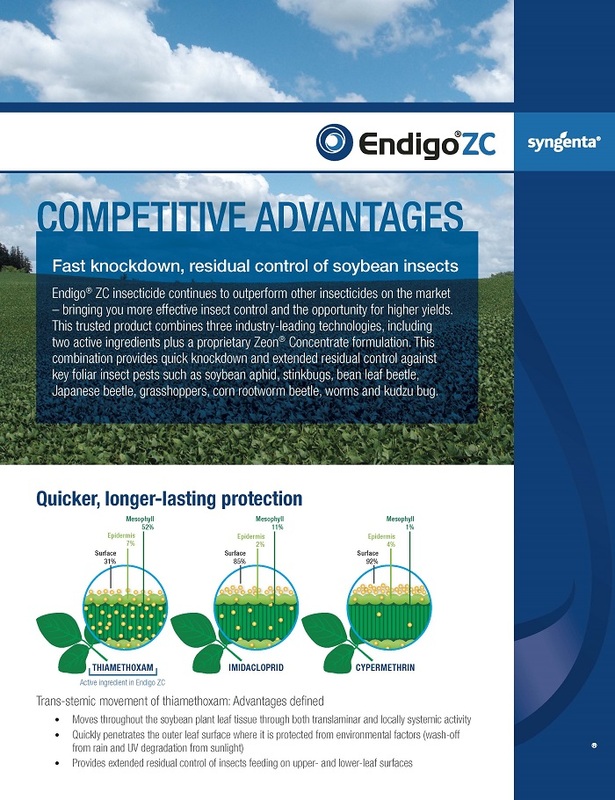 Endigo ZC is highly toxic to bees exposed to direct treatment or to residues on blooming crops and weeds. Do not apply this product or allow it to drift onto blooming plants if bees are foraging in the treatment area.